« Which French Sparkling Wine? ‘Tis the season of special offers! The so-called ‘low season’ is when we start to see some interesting offers from our hosts in France. This is a small selection of the current ones. Make sure you sign up for the cross Channel ferry company newsletters and be the first to hear of the special offers on crossings that they often come up with at this time of year. You could end up with a real bargain Spring break to France! I love this boutique B&B in Brittany for many reasons. I love the olde worlde-ness of the big old beams. I love the cosiness of the woodburner in the salon. I love the little thoughtful touches such as the snuggly bathrobes and toiletries in the en suite bathrooms. But most of all I love the warm welcome from the British hosts at this B&B. Get away for a 3 night short break before the end of April and you’ll save 15%. 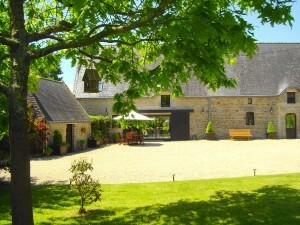 Boutique B&B in Brittany offering a great low season deal. Head down to Burgundy, a five hour drive from Calais, explore the vineyards and get stocked up on some of the most delicious wines that France has to offer. 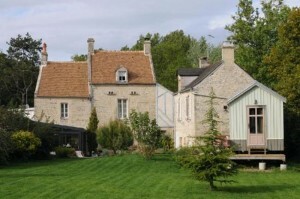 If you stay in this boutique B&B (great food here, by the way) near Beaune in Burgundy before the end of April you will get a very interesting 20% off your stay. Your hosts not only have detailed knowledge of the best vineyards and the best wines in the area but they are also very keen golfers so make sure you take your golf clubs with you! A short walk to the beach, a short drive to Arromanches and within easy reach of Bayeux and Caen make this lovely B&B a great destination for a short break in Normandy. 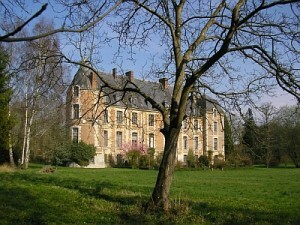 Genuine French countryside charm, peace and quiet and 10% off stays of 2 nights or more before the end of March. The trouble is, if you only stay for 2 nights you’ll wish you had booked to stay for longer! So stay for 4 nights and you’ll get 25% off the last night. Centuries of history are attached to this chateau B&B near Beauvais just to the North of Paris and it’s surrounded by acres of parkland where you may be lucky enough to see deer. Peaceful and tranquil and yet just 45 minutes by direct train to the centre of Paris, it’s a great choice for a peaceful break outside of the city yet within easy reach of the centre for the all-important sight-seeing. 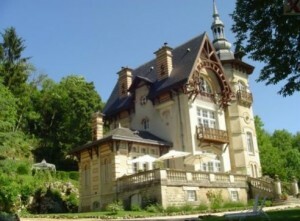 The chateau is family friendly and dog friendly too, so everybody is happy! Your bank account will be happy too as you will get 10% off your stay of 2 nights or more for breaks between 21 February and 31 March.